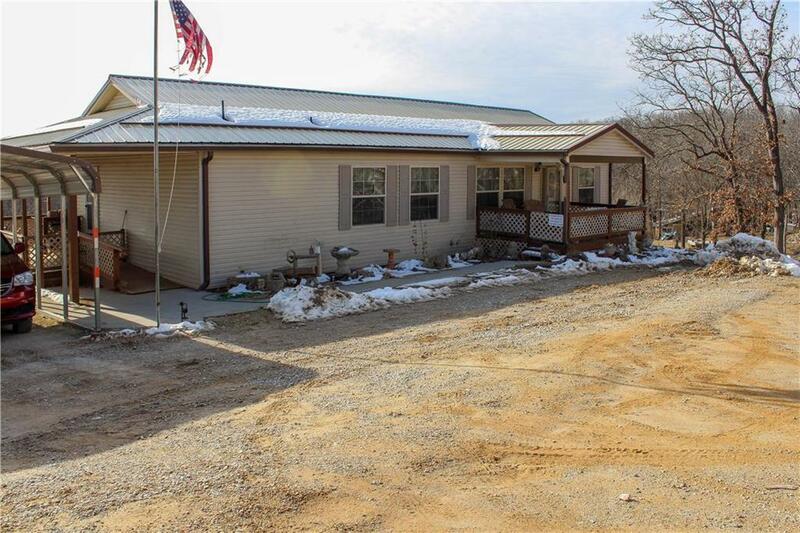 Manufactured home nestled in the rolling hills of Northeast Pettis county, short drive from Sedalia. Full walkout basement on 23.62 acres. 3 bedrooms on the main floor. Master bedroom has walk in closet, shower and Jacuzzi tub. large country kitchen with breakfast bar, island, walk in pantry, lots of cabinets and counter space. Deck off of eat in kitchen and 30' long sun room with amazing views. Basement is partially finished and is set up with kitchen area, full bath, family room and 2 bedrooms. Directions: North 65 to HH. East on HH to O Hwy North. North on O hwy to Lee Rd. East on Lee rd to property on the Left.